Agent 54: Well, leading off again, I have to say that despite how far-fetched the story and characters are, I really enjoyed Guardians of the Galaxy Vol 2. Shamu: Far-fetched? Man, you know what’s far-fetched? You thinking anyone believes you can take us all to the movies, comfortably, in that stupid little car you got. Agent 54: What? You never complain on the way to the theater. Shamu: Yeah, well I ain’t dumb. I don’t want you to kick me out half way there. I ain’t walkin to the movies. Agent 54: Whatever! Getting back to the movie, it was fun and rollicking space adventure with great scenery, great characters and great music. 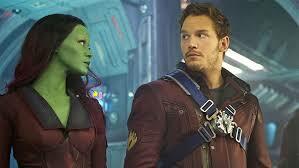 Flipper: Oh yeah, you know I liked Gamora. 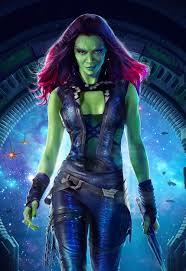 I dig those red high-lights in her dark hair against her green skin. Yowsa! Charlie Tuna: Easy there Flip, have a little class. Remember, this is a family show. Now the character I liked the best was Ego who was played by Kurt Russell. That dude had class, until he told of his grand plan to remake the Universe and kill everybody. That wasn’t cool. Nemo: You guys didn’t even mention the real star of the show. Baby Groot is as cute as me. I loved watching him dance to the 1980s Rock-n-Roll while the rest of the group was fighting the ugly monster in the beginning. Baby Groot is the coolest. 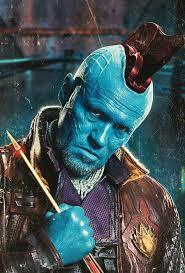 Yondu who was played by Michael Rooker got killed in the end. I always enjoyed Rooker as an actor and the rogue character of Quill’s stepdad and Captain of a ship of Ravagers was very cool. Flipper: Cool? What? Do you remember that guy killed his whole crew with that magic arrow that he controlled by whistling. Those guys were his buddies and he wiped them all out. Shamu: Flip! They had a mutiny against him and took over his ship. What the heck would you do? Those bums got what they deserved. Agent 54: Yeah, a mutiny about a vehicle, like when someone criticizes the driver and the car they’re riding all over the place in. Shamu: Okay “Captain”. Man, you need to get over yourself. Nemo: I like Agent 54’s car. Shamu: Man, you so small you can fit in the glove box with room to spare. Anyway, I want to say, before I get kicked out of the pool for mutiny by “Captain” Agent 54, I loved the movie. 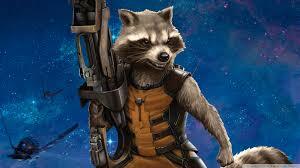 I loved all the action and adventure and the jokes and Rocket, played by Bradley Cooper, is my guy. That high-tech genius does and says what he wants and he don’t care. 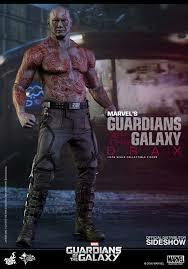 Flipper: I like Drax the Destroyer, played by Dave Bautista too. That guy is hilarious without even trying to be funny. When he told that beautiful new girl, Mantis, played by Pom Klementieff that she was ugly, that just cracked me up. Agent 54: I think that’s what really works with these two Guardians of the Galaxy movies. There is someone or something the everyone can identify with. There’s a character for everyone to pick as their favorite. I like the way they balance the bad guys and side characters out too. You get Ego who is a nearly undefeatable God-like villain versus the egotistic and yet goofy Sovereigns and then the divided Ravagers sects. Truly a diverse group as you would imagine the Universe really is. Charlie Tuna: Gee, that was a deep and almost scientific analysis of the movie, and BOOORING! Agent 54: Aw, don’t start that crap again. Just give me your Starfish. Shamu: 5 Starfish, I dug it. Flipper: 5 Starfish all day. Nemo: 5 Starfish for Baby Groot. Hooray! Charlie Tuna: 4 Starfish. I don’t think they had to kill that Classy Ego guy. Couldn’t they try talkin to the guy, maybe a little psycho-therapy? Agent 54: Uh, yeah, I guess. I give it 5 Starfish too and I can’t wait to see the next one and next time Shamu, you can take the bus to the theater. Shamu: Yeah, whatever “Captain” Agent 54. You messed up and lost your ride. Serves you right for dissing his car. Shamu is going to have to get a bus pass. Great movie. Shamu is okay. He get's a little grumpy when he's hungry and he's always hungry. You will enjoy the film. Thanks for recommending it, i will have to see it once it gets on Netflix. I saw the movie today, all I can say is that it was so hilarious. Yes, it was funny and cool at the same time. Hi Timothy! I saw the first one and enjoyed it a lot, so I'm looking forward to seeing this one. Thanks for the review! A little sad though that Baby Groot was all sulky, gaming teen in the end. But I guess good things mustn't last. Yes, let's skip Groot's teen years. Loved it! They are so much fun watching these characters. Thanks for sharing at DI&DI. Yes, you both will enjoy it. My boys went to see this and I have to say my youngest son came home... well.. angry. He was so mad at the whole basis of the plot and starlord's dad. He did admit that baby groot was adorable though. Interesting reaction. I was disappointed that my favorite character died in the end. I am a massive... massive fan of MCU. In fact, it's fair to say that I am a lifelong Marvel fan (and given that I am in my mid-50s, that's a long time! ), and I was beyond excited when I heard that the first GoG was being made. It remains one of my all-time favourite films - I have seen it so many times (in four different countries, no less! ), I suspect I know everyone's lines by heart! I was so looking forward to GoG2 as well, and I wasn't in any way disappointed. I loved that Baby Groot was doing the same dance as Star-Lord did at the start of GoG; I loved all the in-jokes, the references, the nods to other parts of MCU. And I cried my eyes out at Yondu's funeral. No one warned me that I'd need hankies... fortunately I had a pack in my handbag! As for Xardu Hasselfrau - what can I say? That man is such a trooper! Really enjoyed your review, Agent - keep up the great work! As usual, very entertaining review, Agent 54! Glad to see the gang all participated. I haven't seen this one yet but evidently it is worth a viewing. We think it's a must see. Love the style of your reviews! Although I must admit I'm not sure that this movie would be my cup of tea!! Thanks so much for linking this up with #DreamTeam! My pleasure. Glad you enjoyed it. Did you check out the Sharknado reveiw? Si, everyone loves Baby Groot. I'm not sure this is my kind of movie, but I love the way you reviewed it. I'll mention it to my husband, he'll probably enjoy it. Thank you for joining The Really Crafty Link Party! My wife loved it. Give it a try. Thanks for playing and allowing me to share. That is considerate of you. You'll love the film. This is a really different and interesting way of reviewing a movie. Enjoyable, informative, and superbly fun to read. Oh, you are too kind. So glad you enjoyed it. Please come back early and often. We reviewed LA LA LAND and some other movies too. Go see the movie. Glad you enjoyed our review. This is on my list of movies to see. I loved your review. It was fun to read. Glad you enjoyed it. Thanks for playing. Fun review! I got to see this movie in a 4DX theater and it was a lot of fun. Yes, you will enjoy it. It was an excellent "popcorn movie." Yes it was. Thanks for visiting. Thank you for following my blog. Glad you enjoy it. Thanks for visiting. Come back early and often. Check out some of our other movie reviews posted here.